One of the teens allegedly told police they thought the robbery would be an "easy lick"
The other teen, who told police he is a member of the Crips street gang, said he kicked down the door to Gutierrez's apartment and demanded her cell phone. He said the mother willingly handed over her iPhone. As she tried to keep the armed teens from entering the room where her toddler was sleeping, she was fatally shot in the back of the head, Fort Worth police said. Gutierrez’s husband raced home and found his wife's lifeless body on the kitchen floor. Their 3-year-old son was unharmed. 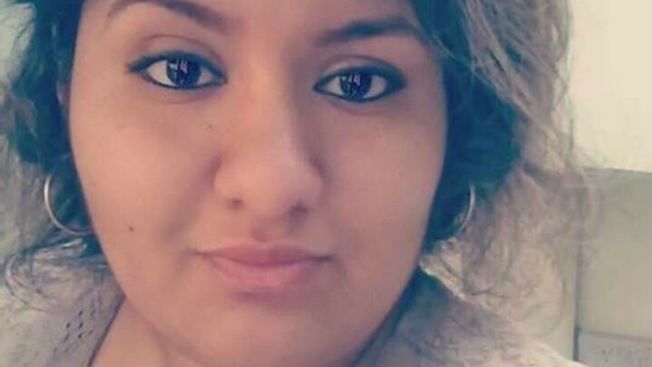 Gutierez's family in the Chicago area has set up a GoFundMe page to raise funds to bring her remains back to Illinois for funeral services. The boys were arrested following a traffic stop in which police linked them to the shooting. Investigators discovered a 9mm pistol during the stop that was later forensically linked to the shell casings discovered in Gutierrez's apartment. Each faces one count of capital murder.